My wife and I were browsing around for a wedding photographer and we had searched around for awhile until we came across Simply Sweet Photography. 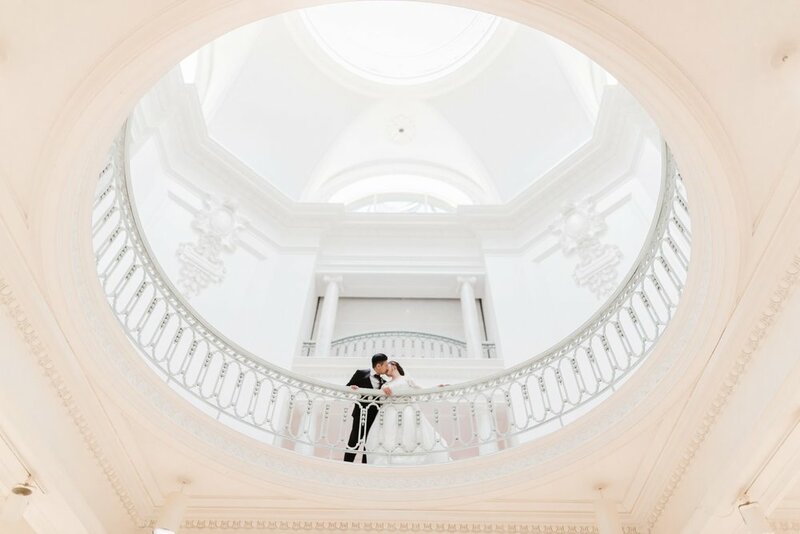 We were recommended by a friend as my wife wanted to find a photographer that could capture "fairytale" style photos and we knew we found the right person when we saw Nomo's portfolio. Nomo was very friendly and professional when we first met up with her to discuss what we needed and wanted. She is always readily available to answer questions and really knows what the client's want. I've heard of stories from people where they weren't able to communicate with their photographer and it ended up with photos that they weren't happy with. We were very satisfied with our photos and how things turned out in the end and I think that is due to Nomo's experience and ability to translate what we wanted and she replicated it back into her photos. Nomo is very open to your requests but also gives good suggestions to capture help angles or moments that showcase the best parts of your wedding. Overall, we are very pleased with the outcome and would definitely recommend anyone to at least setup a consultation to see her and discuss about your wedding ideas. I am sure she will be able to give you what you want for your big day!